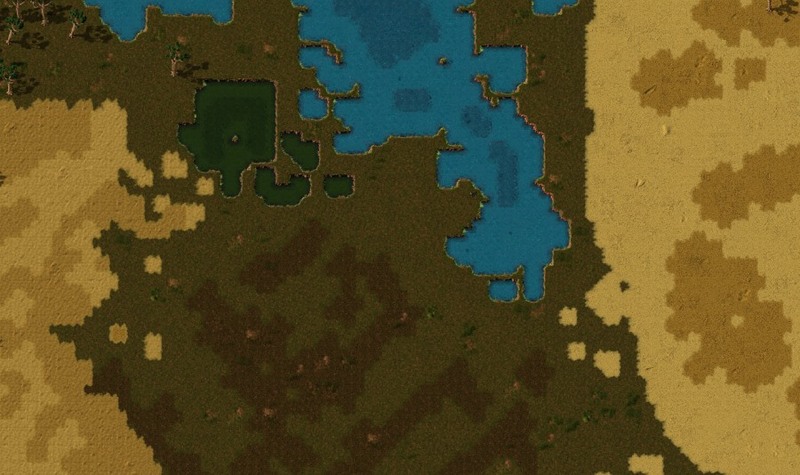 Factorio is a continuous jam session. Albert had this observation yesterday and it is very precise description of our development. In the start I had no idea what will the game be like, I had no plans about the visual styles and proportions of the project that was just a hobby, an experiment. The rails were the first graphical assignment for Albert. I told him to just "do the rails" like it was some obvious one way street task. I didn't give him any clues about the style. Should it be cartoonish? Should it be realistic? Should it look modern, cyberpunk or 19th century like? We didn't know, we were searching for the direction on the fly. Any manager would probably say this is a bad thing, that we need a roadmap for the whole process from the start to the final release with all the contents, features and graphics planned ahead including cost estimates. I personally think, that the freedom of the jam (agile) way of development that allows us to react is the best for Factorio. We are inventing and extending the best ideas on the run, ideas that would never be visible in the start. We have less than a week for the preparation of the 0.8, we integrated all the new terrain tilesets to the game, Tomas is now working on the roboports, and construction robots can reconstruct destroyed buildings. We have few days to add some smaller features before we start bugfixing and preparing for the release. The roboport is the control building for the logistic/construction robots, it will provide the radio signal with limited range for these to operate. 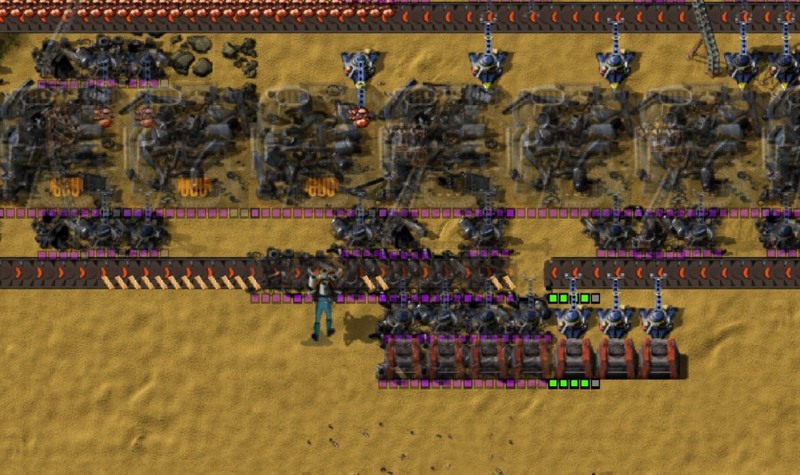 This will limit the robots from following the player out of the factory and allow the player to have more distinct logistic systems. Apart from that, the robots will recharge there and stock inside if they have nothing to do. When any building owned by player is destroyed while he has the construction robots researched, the half transparent "ghost" building appear on top of the remnants. This ghost building has limited lifetime (5 minutes) and if the needed component is available in the local logistic system, the construction robots take it and automatically reconstruct the building. Nothing new, but still: the thread for comments is available on our forum.